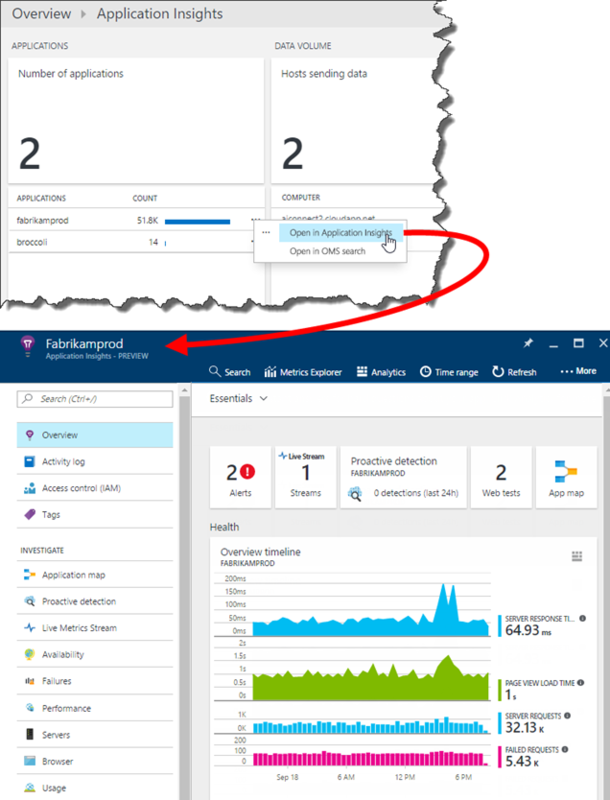 Now IT Pros can see the health of applications monitored by Visual Studio Application Insights. Application Insights can now send app data to Microsoft Operations Management Suite (OMS), enabling the app developer and their IT Pro counterpart to each monitor the health of critical applications in the tool they are most experienced with. 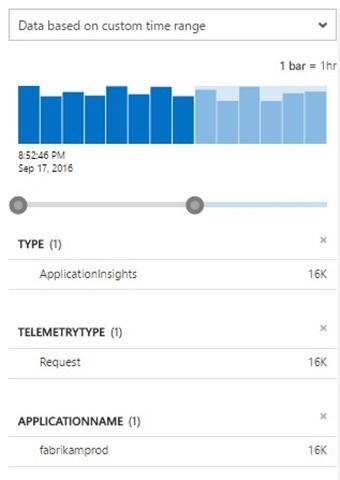 Views of the same application telemetry you see in Application Insights will be available in OMS, facilitating more effective collaboration between developers and IT Pros, and thus reducing the time to detect and resolve both application and platform issues. 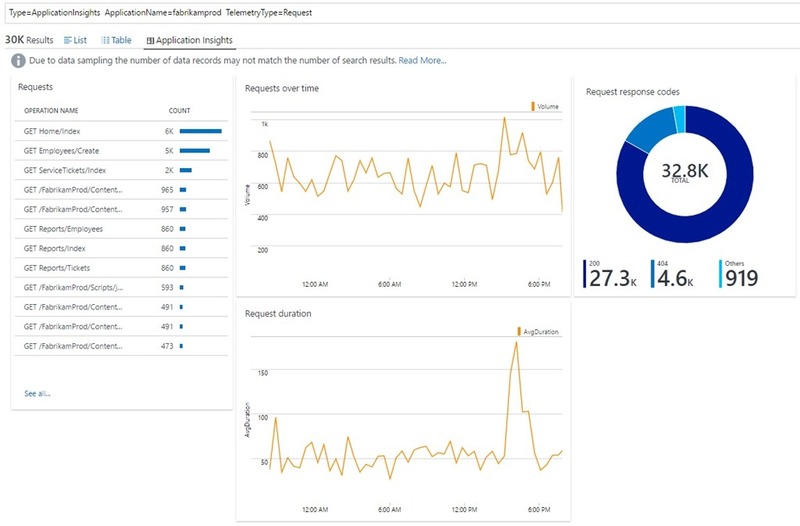 Information about your application’s health and usage is surfaced in OMS by the Public Preview of the Application Insights Connector for OMS Log Analytics. Telemetry streams from web tests, page views, server requests, exceptions, and custom events are included. With this facility, OMS users can correlate any infrastructure issues with the impact on applications running in that environment. IT staff can contribute more fully to monitoring the whole stack from the infrastructure and configuration management provided by other OMS solutions, to the application layer data provided by Application Insights. The solution makes it easy to dive deeply into problems, leveraging Application Insights powerful developer-focused diagnostics and analysis tools to get to the bottom of application issues. Want to get started? Check out this blog post by Cigdem Kontaci from the OMS team with the details of how an OMS workspace administrator can configure this solution and dramatically enhance the collaboration between your organization’s developers and IT pros. To use this solution your app must be in either the Standard or Premium pricing tier of Application Insights. As you get this integration enabled in your organization, feel free to leave feedback about this integration at UserVoice.